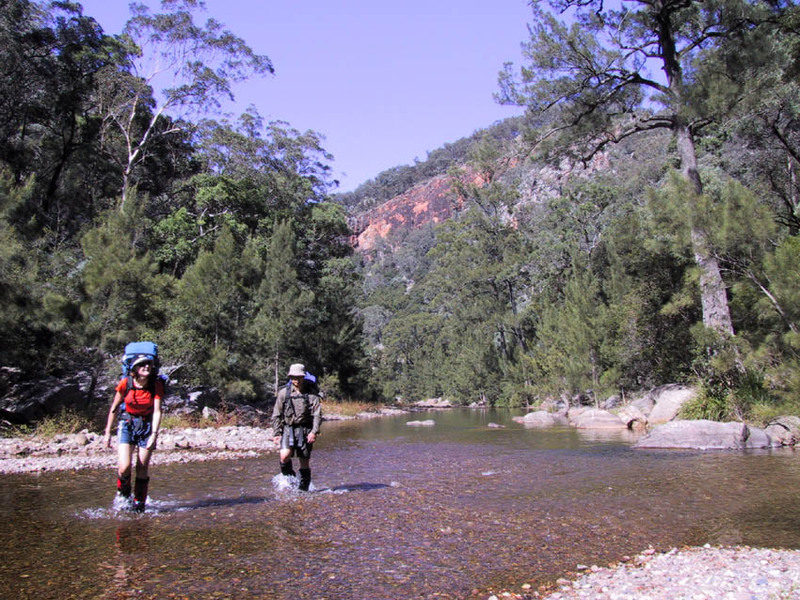 Wading across the Kowmung River carrying a heavy backpack en route to yet another wilderness camp-site may not be everyone’s idea of fun. But there are many who get enormous pleasure from doing this sort of thing, and until a dodgy knee interfered, I was one of them. There is no doubt that backpacking and other of the more demanding wilderness activities have their challenges. So why choose such activities when there are easier ways of enjoying the beauty, peace and tranquillity of nature? One important reason, I believe, is that humans find confronting and overcoming challenges very rewarding. We are exhilarated when we manage it personally and we love hearing stories of others doing it. A universal and prevailing theme in legends is that of the hero who journeys into an alien world, valiantly struggles against mental and physical challenges and returns triumphant, fulfilled and rewarded. For us, the world of nature provides ideal opportunities for hero’s journeys. “Wild” natural environments are inherently novel and governed by forces that, as individuals, we are powerless to control. Therein lies their potential to challenge us – physically obviously, but mentally, more importantly. A day-walk along a wide bush track can be a challenging hero’s journey for one person as much as a full-pack trek in trackless terrain could be for another. What matters is not the activity as such but its meaning to the individual. If it draws out the hero in us in some way, then it has the ingredients and the potential rewards of a hero’s journey. This was brought home to me again and again during the years I help run an adult education course in bushwalking and camping. 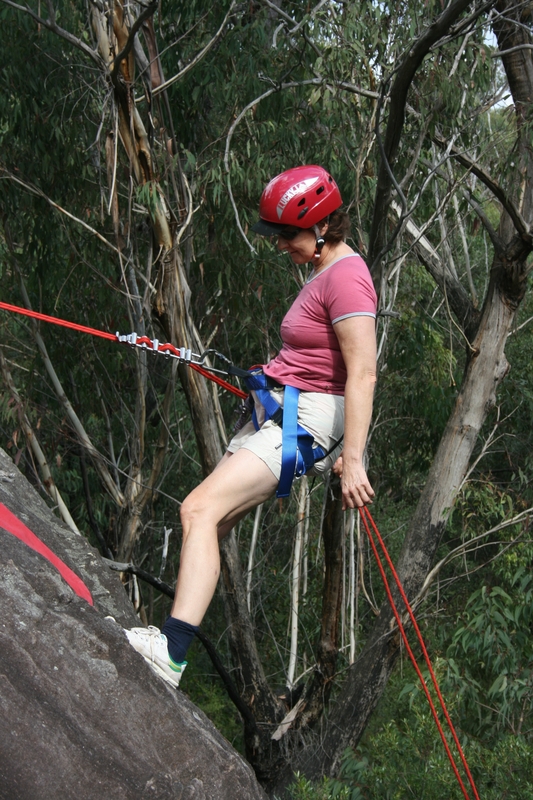 The course included a demonstration of abseiling or rappelling. One purpose of the demonstration was to make the point that, in outdoor activities, you take charge of your own safety. The other purpose was to provide an opportunity for the “students” to try an activity that is more a mental than a physical challenge. Usually most participants would give the abseiling a go. When they succeeded, as 99 per cent of them did, the effect on personal and group morale was palpable. I took particular delight from the reactions of women in their middle years and older. To manage an abseil at their stage in life seemed to give them a real buzz. “Wait until I tell my sons (or husband or the women at work) I did this”, was the kind of remark I often heard. Had you asked most of these women at the beginning of the course if they would like to try abseiling, the answer would have been a resounding, “No”. But, with encouragement and support, they surprised themselves. Another of their rewards were the discoveries they made about themselves – not just about their competence as abseilers but about their capacity to cope with discomforting and challenging situations. They had ventured beyond their comfort zone and discovered more to value in themselves as a result. Many outdoor education programs like Outward Bound are designed to make just this kind of thing happen. As one Outward Bound graduate said of her experience, “It gave me the opportunity to take a risk. It strengthened my sense of self. It gave me a feeling of purposefulness, self-respect, and strength that I never had before. When you are confident in yourself, it affects every aspect of your life”. Another great post Les. Kurt Hahn (founder of Outward Bound) said, ‘we are all greater than we know.’ I am a former OB instructor who married another OB instructor. We are now busy raising our four little potential OB instructors with this philosophy in mind. There is nothing quite like the intersection where wilderness, shared experience and discomfort/hardship/fear all meet to let us glimpse that something beyond. As you well know. Your blog puts me in touch with the best of myself Les, thank you. Can’t wait for the book. Kate, you are full of surprises. As you may know, OB was established in Australia by Warwick Deacock who later operated Ausventure, Australia’s first trekking company. I led treks in the 1980s for Warwick. One of the great rewards for me of that activity was seeing the way managing a Himalayan trek helped people discover very positive things about themselves. Your comments are always appreciated.